Skinny Meg: Aiden: 6 Months Old and Feeding Questions. Aiden: 6 Months Old and Feeding Questions. This is a little shocking: baby Aiden is 6 months old. He is weighing in around 22 pounds and 97th percentile for height and weight. He's a big boy with an even bigger appetite. Being as there is 5 years between my children I almost feel as if I am a new mother all over again, just with less fear of messing up. I rely on the internet and my friends for advice quite often. Amazingly recommendations for different baby items have changed! I've heard a lot of conflicting information on when to introduce solids, which has been something we are dealing with over the last month. His pediatrician actually recommends not starting solids until 6 months, but as we all know not every baby is the same so I set out to do a little research myself. Q: When and how should I introduce and transition my baby to solid foods? The AAP also recommends that infants begin eating solid foods at around six months of age. This is the opportune time as you will notice your baby has become interested in the food you are eating (watch them open their mouths when you do) and at the same time a baby is just starting to sit up which makes it easy to start spoon feeding. Spoon feeding is initially about teaching your baby to put the spoon into their mouth and to begin experiencing new textures. Once your baby is enjoying spoon feeding it is easy to start adding pureed veggies, fruits and meats. The most important point about spoon feeding is that babies will typically eat almost any pureed or "mushy” food that they are offered, so now is the time to start healthy eating habits with a diversity of foods. Don’t be afraid to try new foods (kale, avocado, apricots, prunes), even things that you may not typically eat. As you do this, be sure to wait 3-5 days between introducing new foods so that you can observe any potential reactions to foods. Your baby will continue to have breast milk or formula as well as pureed foods at breakfast, lunch and dinner time. When you first start your baby on foods you will not notice much of a change in the volume of their milk intake, but over several months, as they are eating a “meal” with meats, veggies and fruits you will see that they begin taking less formula or breast milk. So after reading this info from Dr Sue Hubbard I checked the signs of readiness; sitting up, taking interest in food, and using a spoon. Check, check, check. This kid was more than ready to get down to some real foods! We started out with avocado, bananas, and sweet potatoes once a day - usually late morning. We were still using the Similac Advanced Stage 1 formula. More recently I've grown concerned that he is hungry - a lot. One night after he drank 3 8 oz bottles between bedtime and getting up time I thought maybe I should do a little more reading on solids. Q: What are the signs that my baby is eating enough? Number of wet diapers a baby produces: Six to eight wet diapers and one or two passed stools per day are signs that your baby is eating enough. Your baby might be dehydrated or constipated if you are changing diapers less frequently. Contact your pediatrician if a major change in the baby's eating habits and/or digestion occur. Weight gain: If your baby is feeding enough, he or she should gain a small amount of weight each week. Keep in mind that babies gain weight and develop at different rates and parents should consult with the baby’s pediatrician to determine what is healthy." Well, I'm gonna go out on a limb and say he's definitely eating enough, my little chuck! I decided to add in another solid right before bath time and he ate 2 servings plus another bottle and slept like a champ. Now my main concern is if I'm going to be able to afford to feed him when he's a teenager! I know that it's a myth that formula or solids will make a baby sleep better, I clearly remember it not working for Madison, but so far it seems to help little fat baby Aiden. 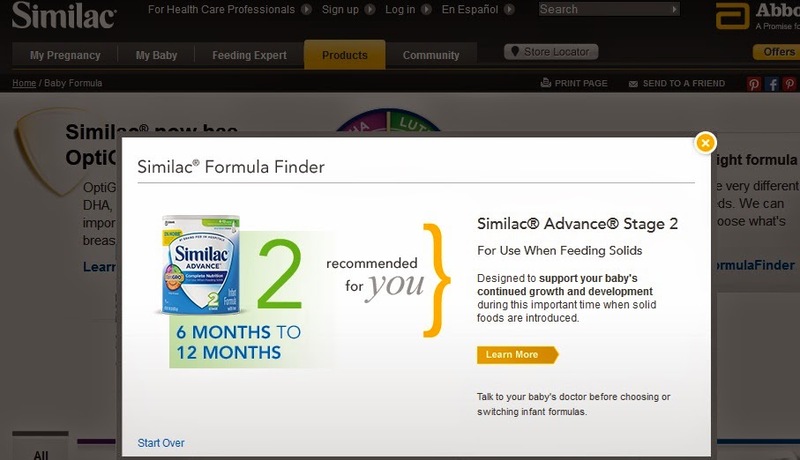 We are switching his formula to the Advance Stage 2 per Similac recommendation - you can click here to find what's right for your baby. Dr. Sue Hubbard is a member of the Pediatric Associates of Dallas, where she was the first female doctor in the group and has continued to practice for the past 20 years. She graduated with honors from The University of Texas with a degree in biology. Dr. Sue received her medical degree from The University of Texas Health Science Center Medical School, where she graduated with honors and was a member of the Alpha Omega Alpha honors medical fraternity. Dr. Sue is a regular on television across Texas. Her nationally syndicated newspaper column, “The Kid’s Doctor,” is distributed by Tribune Media Services. Dr. Hubbard has an agreement to serve as a subject matter expert on behalf of Similac. 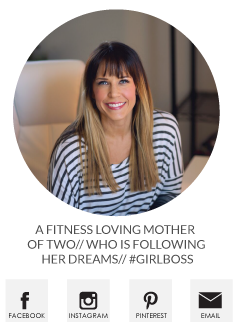 Similac partnered with bloggers such as me for its Similac StrongMoms Ambassador Program. As part of this program, I received compensation for my time. Similac believes that consumers and bloggers are free to form their own opinions and share them in their own words. Similac’s policies align with WOMMA Ethics Code, Federal Trade Commission (FTC) guidelines and social media engagement recommendations. My little man was born on March 25, 2014! So our little dudes are close in age! We do around 2-3 jars of food and about 30-34 ounces of formula a day:) He's around 17 pounds and 26-27 inches! Aiden is precious! How long is he sleeping at nighttime now? I started Beckett on "dinner" around 4 months and now he's getting "breakfast" and "dinner." Kid loves to eat! So cute, he's getting so big. Question: where is the bike from? I am MRS FLORENCE NOAH,Director and CEO of HERITAGE TRUST LOAN CENTER . approved loan lending company based in London, united kingdom. is our priority, at an interest of 2% rate. MIKE LARRY LOAN FIRM WORLD WIDE INC. Note: We only welcome serious minded people. If you are not for real do not reply us because we are legitimate and ready to fund out loans for real and serious people. Great tips. Well you have successfully completed your halfway of your infant’s first year!!! Now there will be no need of medical devices like breast pumps etc. to feed your child. In just six short months he has been learning new ways to have milk and eat solid foods. First few month’s duration every baby grows at a rate of about 1 ½ to 2 pounds in a month which becomes at least doubled after six month completion. Keep attention to their little-little needs and enjoy the new life!!! over the world who are going through financial crises . Still Running so I can Eat. 12 Week Challenge Results and Stories. Calling all Weight Loss Fairies. Family Photos and a Story. My Story: Why I Left. W.O.W. Suns out Guns Out.